If you’re not, then get ready! Cause theres a big world out there and lots of very dedicated fans! 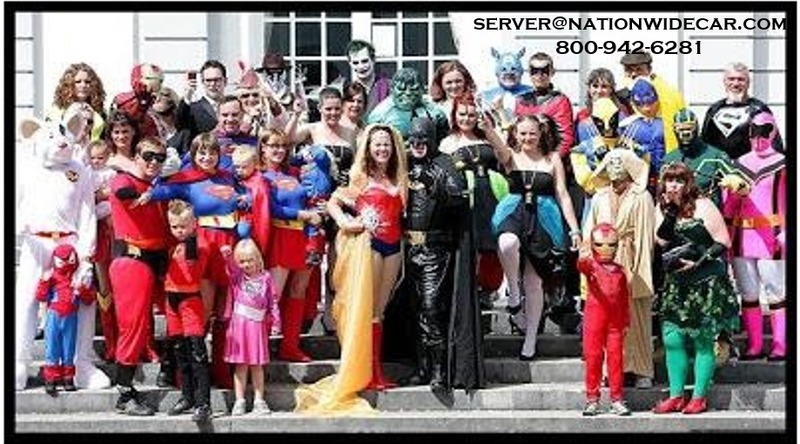 Cosplay is what it sounds like–”costume play,” where fans dress up as their favorite characters and it occasionally it finds its way into weddings as well. 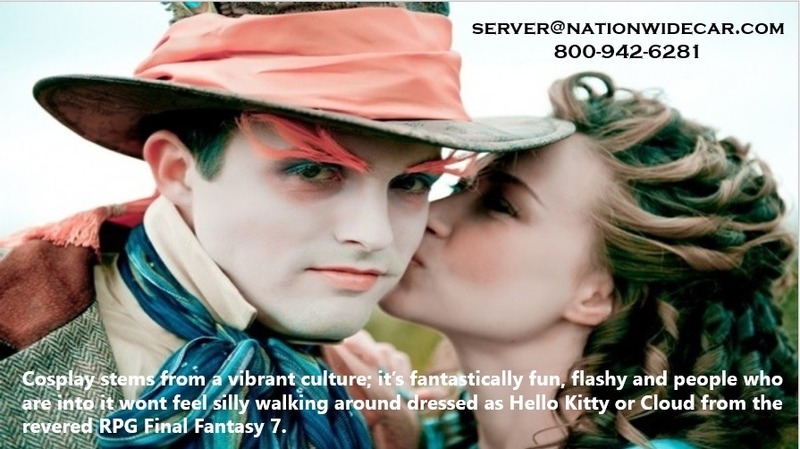 Cosplay stems from a vibrant culture; it’s fantastically fun, flashy and people who are into it wont feel silly walking around dressed as Hello Kitty or Cloud from the revered RPG Final Fantasy 7. Imagine being a guest. . . Okay, just waiting for the bride and groom, oh look theres a nice sleek limo, probably from Nationwide Chauffeured Services, and oh, there’s Marcy, shes so beautiful and… Is that a tail, yeah thats a tail. “I’m Taokaka!” She says and hops outta the limo with a smile. There are plenty of opportunities here! From wild make up to Sailor Moon outfits. Be bold, bright and colorful, bubblegum pinks and greens. You could put your hair up like Chun Li, from Street Fighter or even dress up as mascots. 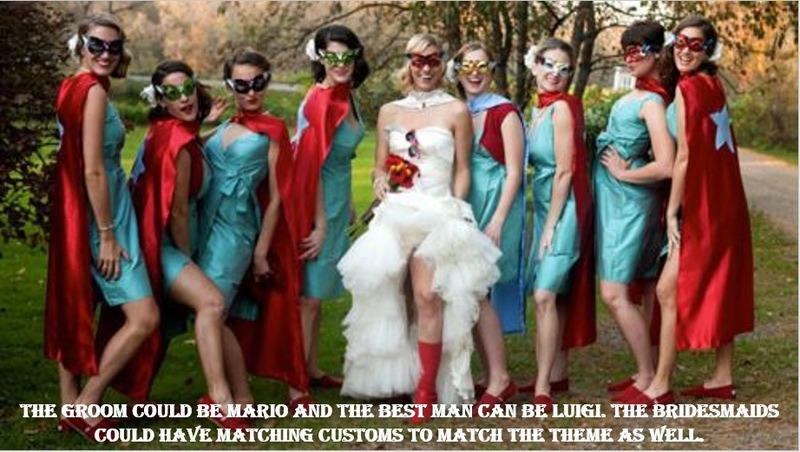 The groom could be Mario and the best man can be Luigi. The bridesmaids could have matching customs to match the theme as well. The celebration to follow could even follow up at an Anime Convention, like Anime USA or Comic-Con. Or you could throw one heck of a party and walk around trying to figure out whos are character from what. 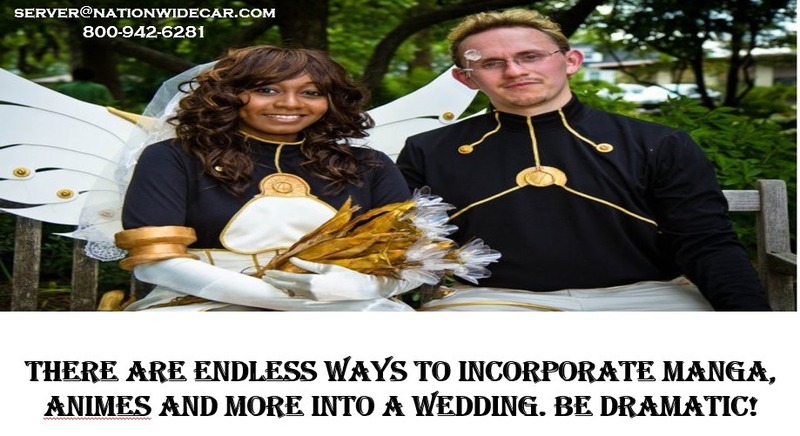 Theres no doubt that a cosplay wedding would be unique and alive with entertainment and fun. 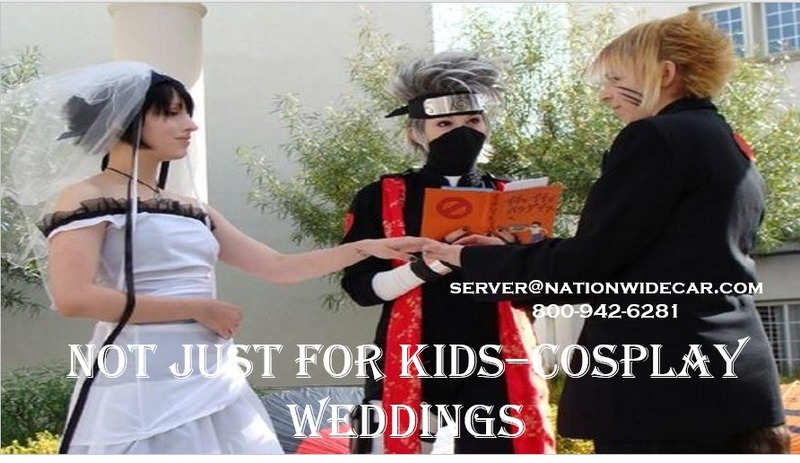 There are endless ways to incorporate manga, animes and more into a wedding. Be dramatic! ● Personalized vows that have your favorite game intertwined within, maybe a romantic line for the game. ● Invite the whole family into it! Finally a time the kids can dress up thats not on Halloween!